We’ve been posting about using time this summer to review your child’s records and organize his special education file. Have you started yet? Here are 14 tips for reviewing your child’s record from Pat Howey. 1. Send a request letter to inspect and review your child’s records. 2. Specify all files in the letter, whether or not you believe these records exist. 3. Send this letter to all pre-schools and schools your child attended. 4. Send a second letter to the government agency that provides special education, i.e., Special Ed Cooperatives, Joint Services and Supply. 5. 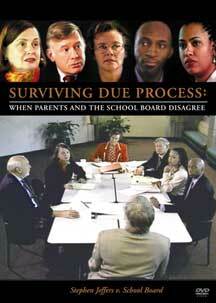 Give the school/agency two or three different dates and times you can be available to review the record. 6. If you do not receive a response within a week, send a follow-up letter, attaching a copy of the original letter. 7. When you go in to review your child’s records, take a number of pads of the smallest size sticky notes with you. 8. With a sticky note, tag every sheet of paper or note that you either have never seen before or that you are certain you do not already have a copy of. 9. Make a note of missing items. If any records are missing, write a note, indicating what you believe is missing. 10. When you are finished, count the sticky notes. Make a note of the number of pages you can expect. 11. Return the files with a note that requests copies of all items that are tagged with sticky notes. 12. Reminder: Absent state law or local policy, you are not automatically entitled to copies of your child’s records, except under specific circumstances. You may be charged a fee for the copies. 13. When you return to pick up the copies of your child’s records, note the number of copies. If the number varies from what you expect, leave a note stating that you did not receive all requested copies. 14. Sign and date each piece of correspondence you give to the keeper of the records. Always keep a copy for your own records. 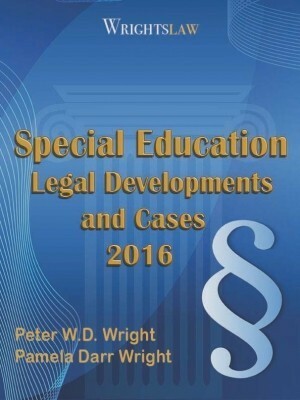 Indiana Advocate Pat Howey, a member of the Wrightslaw Speakers Bureau, provides training for parents, educators, and others who want to ensure that children receive quality special education services. 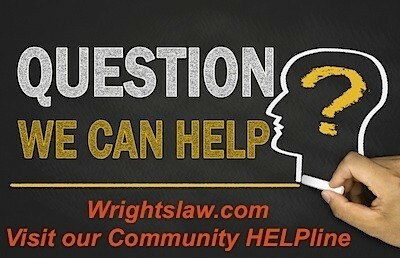 Pat provides tips for parents and advocates answers your questions in Ask the Advocate. 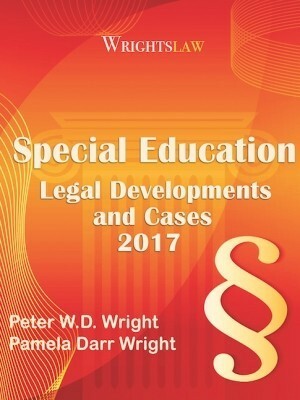 This entry was posted in Advocacy, Letters, Strategies and tagged Advocacy, Documentation, paper trail, Special Education File, Strategies, Tips by Wrightslaw. Bookmark the permalink. What laws are there that I can refer to, particularly regarding #9? We have an incident that we are investigating and as far as we know, there is no documentation for it. I don’t know which items are required to be in my son’s file and which the school is allowed to get rid of. Also, how do I know to ask for things that aren’t there? I live in Colorado, so do the laws saying which items need to be in the file vary by state? The school will not respond to our request to review our child records. It been another 45 since the child 18 requested herself to review the records. What to do?? What can a parent do when they feel that the members of their IEP team are for FACT un-trustworthy? Who can you get to replace them if you feel for CERTAIN that they are not truly listening to you and seem to be deceptive, bothered and rushing you through the whole process when you have certain questions you feel are important? My son went to the same grade school through fourth grade. I home schooled him in fifth grade for his dyslexia. In fourth grade, he had a 504 plan. When my son returned to the same school for sixth grade, I asked to see his file. The office staff couldn’t find it…anywhere! They said it must have “accidentally” been shredded with some of the old files they cull out each year. What is my recourse for this? I believe I have almost all the documents that would have been in it, except for any internal memos, letters, etc. I suspect it was destroyed deliberately, but I have no proof. My son will attend middle school this fall, so do I just put together all of our own records before speaking to the school administration? I did this once for one of my sons. I bought a small digital camera and all our memory cards figuring that this would avoid things getting “lost” after I asked for them. What I found was that, except for a doctor’s diagnosis of a medical condition that we had never provided to the school and they had gotten through other sources, we had more records than they did. All our correspondence and so on – gone. Question is what then? We have copies so the missing records are not vital, but we now know that his file has been sanitised. What can we do to let the District know that they are breaking the law and it matters? Annie – If you have signed the IEP it would be deemed complete and should be immediately available to you. In fact, I am surprised you did not receive a copy in-hand at the time you signed. My suggestion would be to contact the Case Manager and ask her to send you a copy same or next day, or that you will drop by to pick it up.. As for reviewing records, there is a nice form letter and guidelines also available on the Parent Information Center website. 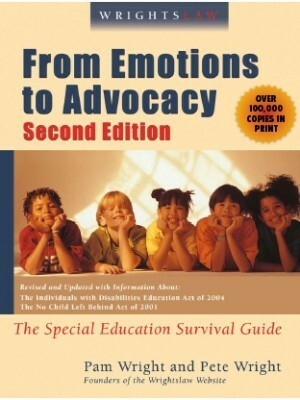 PIC is active in every state and is another wonderful resource for parents as far as self-education on SPED issues and in getting questions answered. 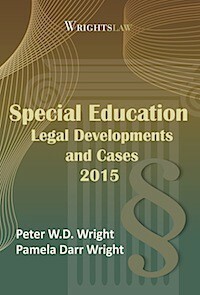 How long should a parent have to wait after requesting a copy of the signed IEP? 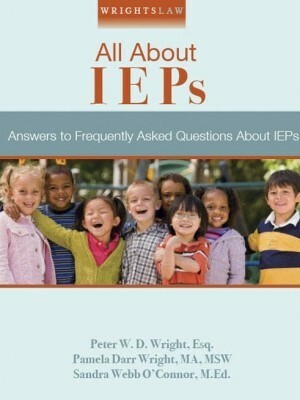 I have requested a copy of the signed IEP for several months and still have not gotten it. 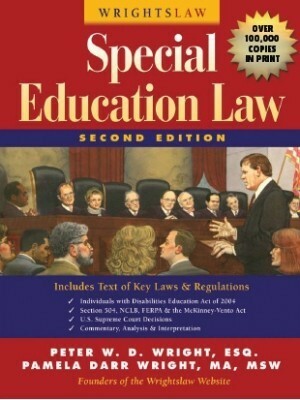 Thank you for the step by step instructions regarding how to view and receive copies of my child’s special ed records. With this direction I feel I can proceed with a healthy balance of confidence and caution. I look forward to the perspective. Donna Definitely request new evaluation so you know where your child stands. That is unfortunate that there are no files. Do you have any that you may have copied that you could give the school a copy back for their use? This would help. My multiply disabled 8 year old has been receiving special education services of some type since he was 6 months old. His Dad is a military contractor and we have lived in 3 states. He receives all services in the home setting due to immune and medical issues. We have been in the current school district for past 3 years. Recently I requested to review his cumulative (permanent file) and it soon became obvious it was not available. I have made a formal request for records and received a response yesterday that despite their efforts they cannot locate the file. What is my next step? His triennial is not due until 2011. Can I request a new set of evaluations now? We have all new providers this year. I requested a list of what educational records for my son and where they are located. I received a letter that basically says the district does not maintain a list of documents in a student’s file or a list of where student records are kept. They do not maintain a list of documents in regards to my son and are not obligated to generate public records that do not already exists. I attended a Wright’s Law conference a few months ago in Bowie, MD. 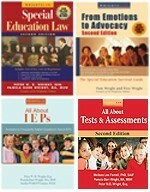 It was not untl then, of course you know, that I learned valuable points concerning my child’s IEP. It is so much to learn and know that I feel overwhelmed. However, my son just turned 16 in June. He has five more years of school for I plan to have him in school until age 21. He is on the 2nd/3rd grade academic level and has been for two – three years. I had asked the school to make some changes because he is not learning and that progress is not being made, because he should not still be on the same grade level. They all looked at me as if I was crazy and blamed it on his deficiency. Sure he is developmentall delayed. Sure he is slow. But where is that part of the school system that taps into where he is so that he can learn? Where is it? I do not understand. We requested my child’s academic records under FERPA and sent a detail list of information that contradicts the school district’s own documentation. Their attorney sent an email about six months later indicating that she can not agree to the revisions because doing so would be detrimental to her client. In a recent IEP meeting the attorney reported that the reason that these records were not revised is because we had not requested properly according to FERPA regulations. The Assistant Superintendent corrected her and requested that these revisions be made so that we can all move forward. The school’s attorney has since offered to correcting a select amount of information that Colleges or other agencies will be given if information is requested. I guess this is what you call the partial truth. It would not be a mistake to ask for a copy of his entire file but I suggest going to review your son’s records first to see if it is complete and to see what records they have and you don’t. Ask for the records you don’t have. It will be less expensive. If your son’s name is on the test protocol document they have to give you a copy. Typically that is the answer sheet. A neat way of side stepping this would be to give a private psychologist (or other professional if the school psyco did not give the test) a release to get the test protocols. They can’t justify not giving them up to another licensed professional who’s obligation to protect the manufacturers copyright is as great as theirs. You would also have the opportunity to review them with your son’s psychologist (or other professional) and discuss the validity of the results. My son has only been in the public school’s special education program since November 2008. 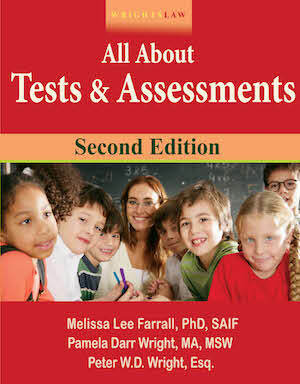 I only have copies of the IEP, results to 1 test that was administered, and 2 review reports. Would it be a mistake for me to request a copy of his entire file without first reviewing the file? During the school year, I requested a copy of the test protocol and was told that they were not allowed to give that to me because of the copyright. Does that sound accurate? 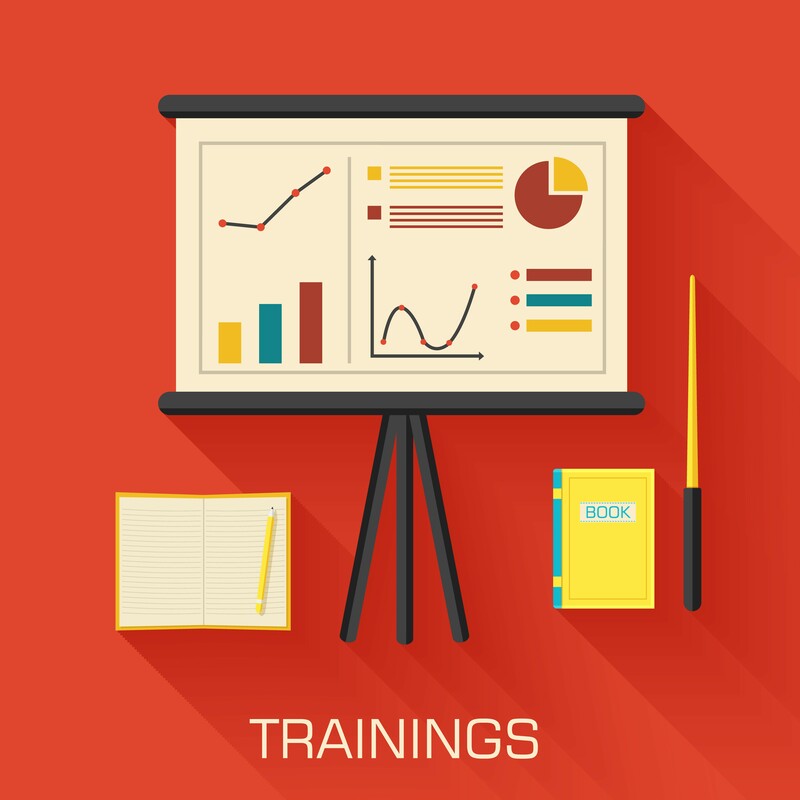 Should the raw data that is collected during discrete trial training be included in his record? His ESY report did not have him mastering goals that he mastered at the beginning of the summer with his home therapist. I would like to see if his data at ESY was properly collected and analyzed or if he wasn’t generalizing the skills.